Trying to figure out how to teach a preschooler to write letters can be scary. We are homeschooling my 5.5 and 4 year old so I have the stress of being responsible for teaching them to write letters and the privilege of doing it one on one. My best advice is to spend plenty of time on pre-writing activities to help make writing on paper easier. Also help them to practice correctly so they don’t have to undo bad habits. 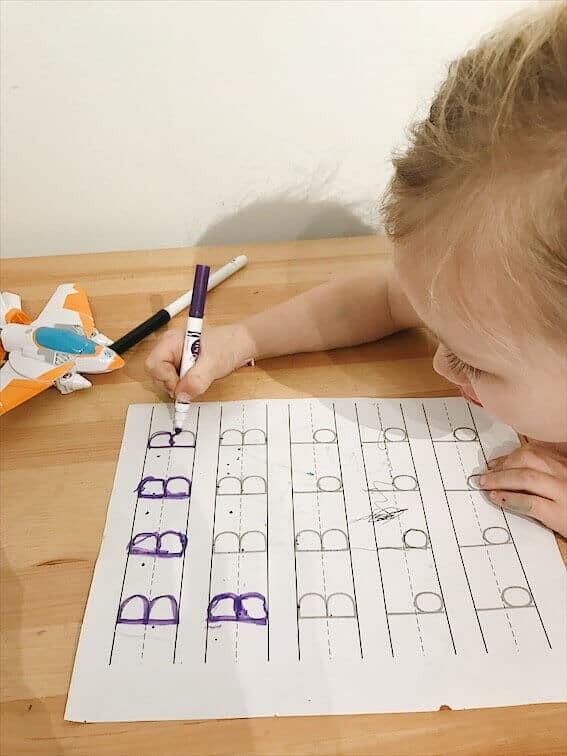 Hopefully this post gives you the confidence to start helping your child learn to write their name and the whole alphabet! What age do kids learn to write letters? Personally, I’m a fan of waiting till at least age 4 or 5 to begin learning to write letters. My son is learning at age 5.5 and my daughter is ready at almost age 4. (Probably because she sees her brother learning, and because she is about the same speed as him on most things other than attention span). If she wasn’t eager, I wouldn’t even try until age 5. Learning to write all the letters in their first and last name is one of my goals by the end of our homeschool preschool. Kids begin to do a lot more writing in Kindergarten so it is helpful if they can write some letters by then. Can they recognize letter names when they see them? Are they interested or asking how to write a letter? That was my hint! Do they know how to hold a pencil correctly from drawing and coloring? Are they experimenting trying to write letters in their name, even if it’s upside down and backwards? I love this post on the stages of learning to write and draw. 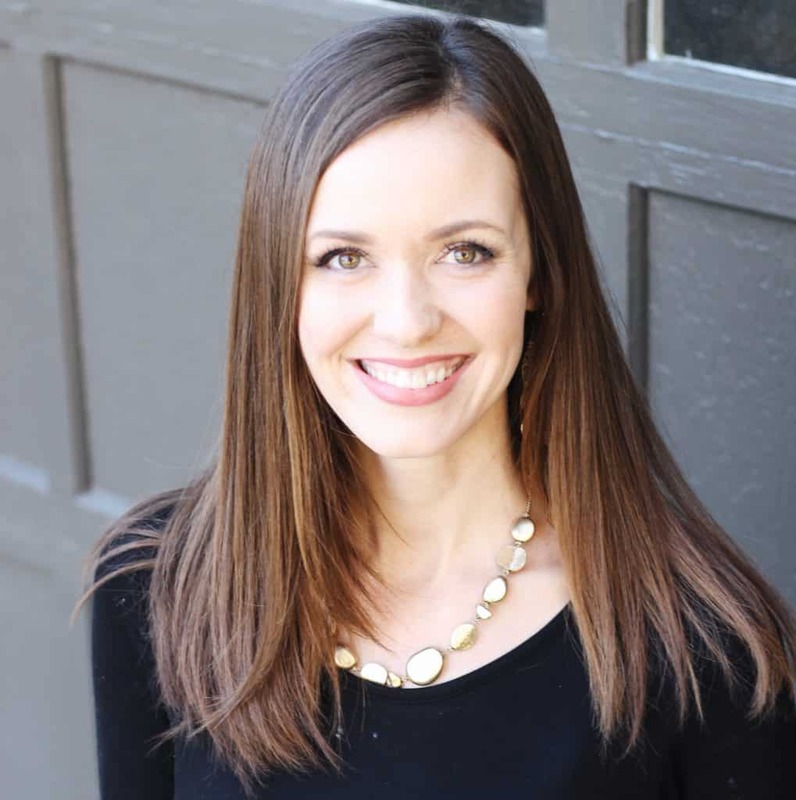 You will be able to see what stage your child is at and if they are developmentally ready! Think of teaching your preschooler to write as a process and don’t rush into it too early! Work a ton on letter recognition first, because that will make writing easier if they know what it is supposed to look like. Keep it fun. Fun for us often means short, haha. 1. Do TONS of pre-writing activities before attempting to write letters. Sensory letter writing is a fun way to make letters without having to use a pencil and paper yet. They can learn the motions and it’s fun! 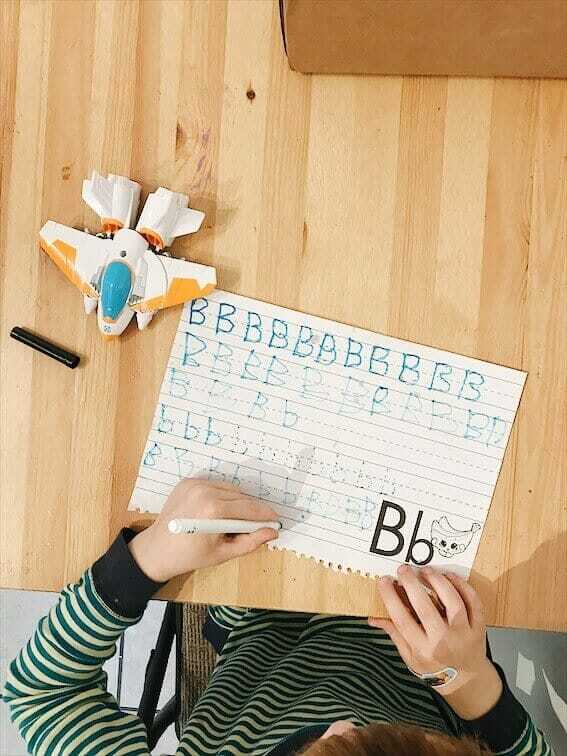 It’s helpful for kids to see you forming a letter, and to have an example to look at. Note that just because they watched you write the letter B top to bottom doesn’t mean they’ll think to do it that way. Forming letters out of shaving cream or sprinkles in a pan. Write out a letter with glue and let your kid place noodles or beans on the glue. I highly recommend buying some pre-traced pages for each letter so that you don’t have to do it by hand! Once you think that your preschooler is ready to try pen and paper, search for some free tracing pages online or get the tracing notebook we use. I like this book because the letters are already there to trace, which saves me from having to make a ton of dotted letters by hand. And, the first page of each letter has arrows and numbers to show the hand strokes. Feel free to start with blank paper, but eventually you will want them to practice writing on lined paper too. It teaches them to pay attention to proportions within the lines, and it’s what they’ll be using in kindergarten. A lot of lined notebooks have just one letter for kids to trace and a bunch of blank lines for them to fill in the letter by memory. These are too advanced to start with, because they haven’t had enough practice yet to remember the motions. My son needed to trace at least 10 of the same letter before really being able to try drawing it solo. If blank lined paper is all you have, then you can fill in tracing letters by hand like I did below. I dotted in one full line of capital B and one line of lowercase b.
I drew in about 10 dotted uppercase and lowercase letter b for him to trace. Then he filled in the rest by memory. It’s important to watch kids practice so you can keep them from forming letters the wrong way (like bottom to top). Another cool idea I’ve seen is to write letters on paper with a highlighter. Then, your child can trace over it with a marker or pen. 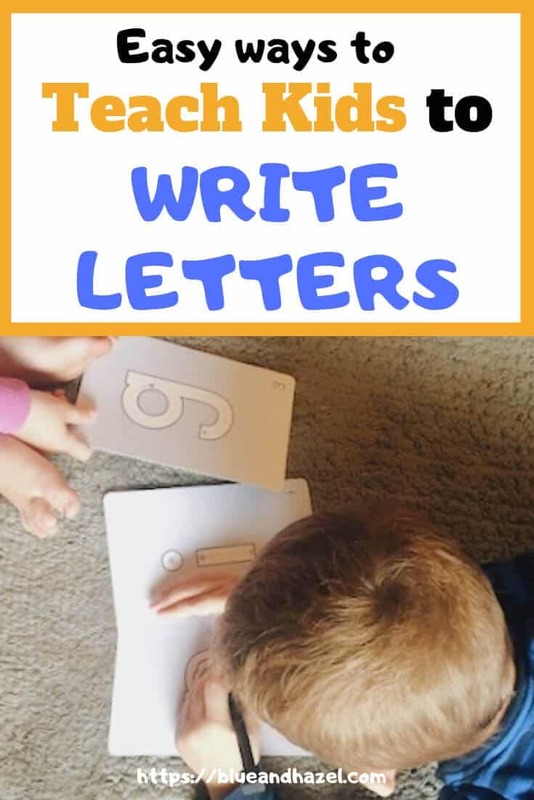 If you want to motivate your preschooler to write, then start with fun ways to teach them the letters in their name! Kindergarten classes like to have kids able to write their name coming into kindergarten with the first letter being a capitol and the rest of their name in lowercase. I found these awesome FREE printable name tracing worksheets and loved how easy it was to customize the font, size, you can even save the file to print over and over, or just bookmark the page. We also love these dry erase letter tracing cards! They come in uppercase and lowercase. Note that if your child has two of the same letters in their name these ones only come with one of each. My kids love tracing on these reusable dry erase cards! 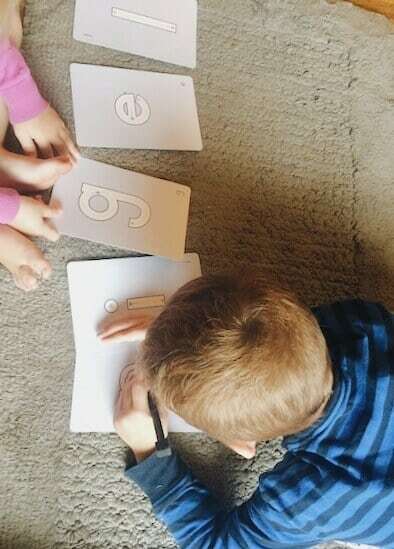 Awesome way to practice tracing letters. Should you start with uppercase or lowercase letters? Some people start with all uppercase letters first and lowercase letters second, since uppercase letters are a bit easier. I personally like to teach them together. If it’s too hard to learn both one day then it’s fine to do uppercase B one day and lowercase b another! Chances are you will be teaching each letter more than once. Haha, I mean you will for sure be teaching each letter more than once. It’s a good time to introduce that names are always spelled with a capital letter if that’s new to your preschooler. It’s also good when reading out loud to make the connection when that every sentence starts with a capital letter. Forcing your kid to write before they are ready. Sometimes kids are capable but uninterested. My philosophy is that if they are not interested, but capable, I don’t force it unless it’s something I deem necessary. I want my kids to be writing letters by Kindergarten (age 5.5-6). But, if they are 4 and uninterested, then wait a 6 months and try again! The majority of writing begins in the Kindergarten years anyway. Doing worksheets before any pre-writing activities. If they are interested in letters but can’t seem to follow directions to trace or copy, then back up and do some fun pre-writing activities. I didn’t realize that “pre-writing” was an official thing, because kids naturally do some of these things first. Think drawing shapes and lines (my 3.5 year old currently draws mama as a big round circle with about 5 lines of hair). Also coloring, holding a paintbrush, beading, drawing letters in the air, or anything that strengthens hand muscles and makes writing easier later on is considered pre-writing. Letting them write or trace the wrong way. Thankfully I read early on that it can be a lot more work to correct a bad habit than to make sure they learn the strokes correctly the first time. This means you can’t hand a kid a worksheet and walk away. My oldest is a clear lefty and my middle is a righty. There is not a huge difference when teaching them to write letters, so don’t be too intimidated! Make sure they have a proper pencil grip. I have them pinch the pencil with their thumb and index finger, resting the pen on their middle finer. Hold the pencil close to the tip for better control, but far enough away that they can still see what they are writing without having to bend their wrist all wonky. Tip the paper a tad, so the bottom right corner of the page is bit down. This is opposite of the way I tilt my page being right handed. Letter formation is the same for left or right kids. For instance, writing the letter o will be counter clockwise. I’ve read that it doesn’t matter if they pull or push lines to cross their letters like f, t, E, and H. No need to micromanage that. This is an excellent in depth post on Tips for teaching left handed kids to write if you want to read more. 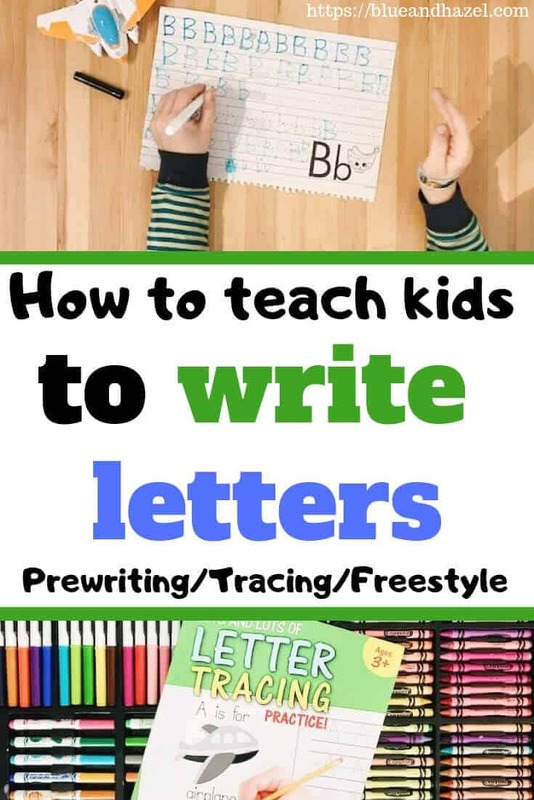 If you are beginning your homeschool journey and feel overwhelmed, know that you have what it takes to teach your child to write their letters! Homeschoolers have the freedom to go at their own pace, and it’s a great way to spend one on one time with your child. 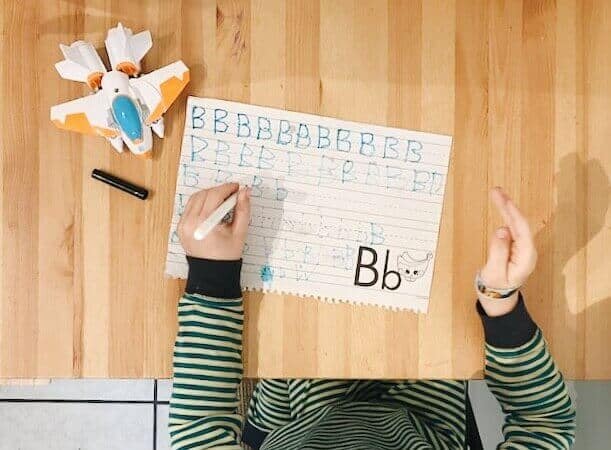 If your child will be attending kindergarten, then there will be PLENTY of letter practice there. Kindergarten teachers know that some kids can write many letters and others only some. They really try to meet kids where they are at. But even still, helping your child to learn their letters at home will help them so much! What is one thing you worry about when it comes to teaching handwriting? Let me know in the comments!